Streets of Rage, Super Metroid, Contra and even Quantum Fighter were brilliant titles for their time, but is Strider Hiryu’s 2014 adventure a true and rejuvenated gem that makes proud its fathers of old, or is it just another attempt to cash in on an overly dusty series from an era of gaming mostly unknown to the 3D generation? When I first caught wind of Capcom’s new title, other than recognising the name as that of the character from Marvel vs Capcom 2, I knew little of Strider’s character or that of the original title released back in 1989. So when I loaded up Capcom’s latest entry into the series, I began playing with an open mind, having already experienced some of the finest titles known to the side-scrolling genre from my early childhood. At first glance, Strider himself is effectively a Cyber Ninja. Well, a Cyber-Ninja who breaks standard tradition of wearing nothing but black, instead wearing stylishly red and purple coloured clothing, all while proudly sporting an ultra-long scarf that would have likely strangled our hero long ago. Whether a fashionista or stone cold killer, Mr.Hiryu is a veteran in his line of work and although Ryu Hayabusa would look to the man as a human does an ant, Strider’s latest outing has a lot going for it, equally in content, visuals and gameplay. Look at Strider looking so cool and... cool! As you first begin play, it’s quite easy to say the title feels a little underwhelming. Your moves are limited and you’ll find yourselves craving a block button while the only things holding your interest (originally) are likely to be the beautifully detailed level design and atmospheric, electronic vibes that make up the titles soundtrack. Like any decent title though, you start off with very little and end up unlocking more and more as time goes on. 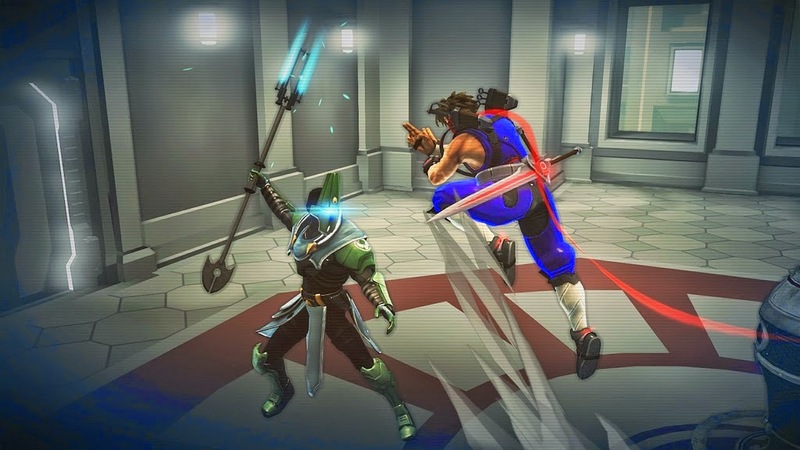 Energy and health upgrades are what you’ll be scouring for initially, but the unlockables featured within Strider are plentiful. Character and story intel, concept art and alternate costumes make up for a large portion of the goodies you’ll find scattered throughout each level, while story/level progression will net you most of your new abilities, gear and weapon upgrades. With multiple abilities on offer you’ll gain access to Kunai that can be thrown to activate switches inaccessible by any other means, and as soon as double jump and the option of teleporting over short bursts become available, the combat speeds up considerably. Additionally, although basic in design, each new Cypher (the primary blade Strider wields) ability proves for a fun experience. Colour co-ordination is a key factor in the games design, with each colour representing a different and unique ability. Red is your basic scarf and blade colour, undoubtedly representing the insatiable bloodlust our hero holds for his enemies, allowing him to reflect any bullets fired his way, back to the point they originated from. Each coloured Cypher consists of Red, Yellow, Blue and Purple, with Blue being my personal favourite. For me, the appeal comes from what the ice based Cypher can actually do. Essentially doubling as a platforming aid and invaluable tool, it allows you to bring fast moving (and otherwise impassable) doors to a halt, also freezing your enemies in place with a flurry of “Shivan” slices, turning your once freely moving opponents into human/mechanical ice shields, also doubling as temporary platforms for even more combat options. Unsurprisingly, certain enemies are only susceptible to attacks that correspond with the matching coloured Cypher’s available for Strider utilisation. Basic enemies can be killed with either charged or standard sword attacks, while Soldiers with yellow shields can only be de-shielded with the explosive attacks of the yellow coloured Cypher. It’s a simple enough concept, but when faced with multiple enemy types, you can really feel the heat as the pressure of challenge rises. Being a side-scrolling platform game, traversal plays a key part in Kazakh’s exploration. You can double jump, climb and monkey bar your way through most of the earlier segments of the game, but you’ll eventually reach a point where you need to propel yourself forwards with what I call the “R1 teleport dash”. Additionally, you’ll find propulsion rings that propel you through the level on a fun but fixed path (incredibly reminiscent of the automated tunnel sections in Sonic 2), as well as finding Eagle and Panther points that fly and carry you to some of the later sections of the game. As mentioned earlier though, Strider likes to challenge you. It wants you to rise to each challenge it presents and if you have any level of competitive spirit, it’ll likely antagonise you to such a point that you have no choice other than to succeed. A room full of shielded enemies, two hulking machines that bombard you with Incendiary Grenades, or three bosses (almost identical in looks) to fight simultaneously? No problem. 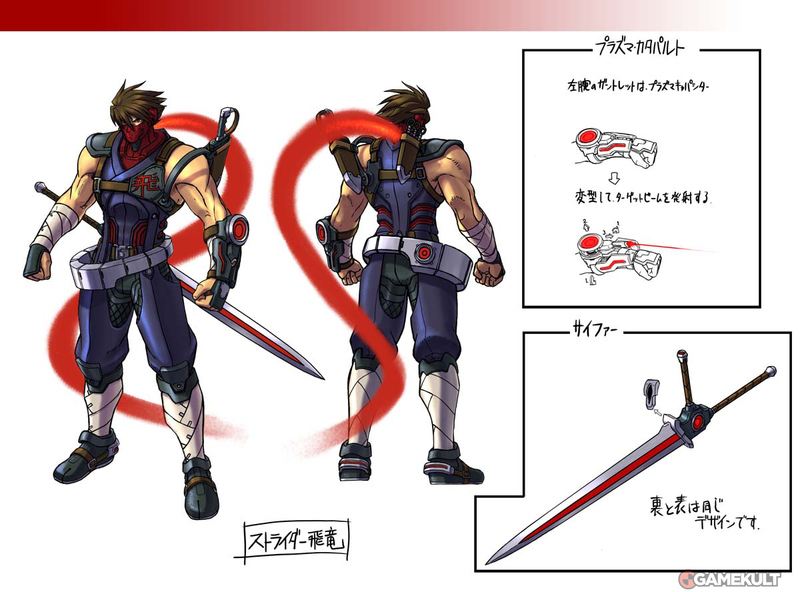 By the time you reach the ending sections of the game, all of this should be pretty much a breeze if you’ve fully embraced the tools Strider has on offer. Of note, when it comes to Boss fights, it’s all about learning the attack patterns, knowing where to tread, when to evade and when to dish out the pain. Boss designs featured within the game vary from bland to great, offering a healthy mixture of both lean and mean adversaries to those of the larger, clumsier and more brutal mechanised types. Each have their own strengths and weaknesses, but aside from a few silly names (such as the three sisters; Pei Pooh, Nang Pooh and Tong Pooh), virtually every battle will keep you on your toes, entertained from start to finish as you find yourselves admiring your opponents armour, technology and resiliency. One of the most pleasing aspects of Strider is undoubtedly the visuals. 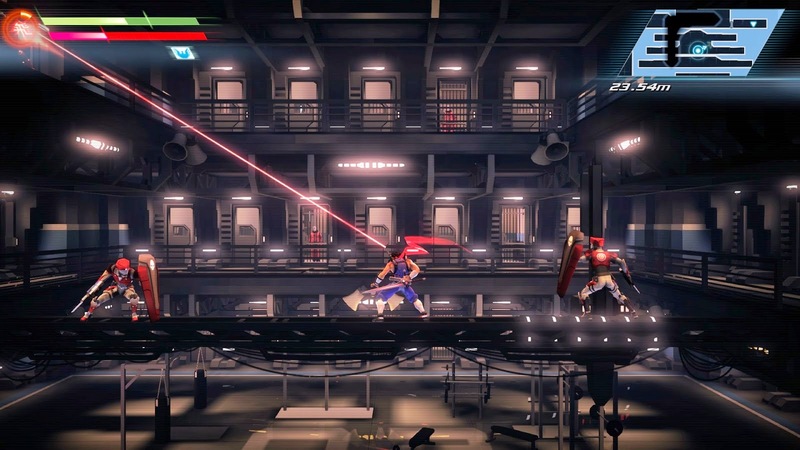 At first glance it's easy to overlook the attention to detail featured within every segment of the game, but when you stop the killing as Strider takes a moment to regain his breath and composure, take a long hard look at every object, building and backdrop in your immediate proximity. You'll quickly notice that the level of detail is incredible. There's no lazy work here. Everything that should be textured has been textured. It doesn't matter if you're looking way out into the yonder or up close at Strider's flashy Ninja suit because the minute detailing is astounding no matter where you look. Add some clever motion and character effects onto the already artistic styling and you'll have no issue differentiating the protagonist from his surroundings even in the most heated of moments. Moving onto the sound now, the effects are synced perfectly with character and level animations, though the ambient soundtrack lacks the memorable and addictive vibes of Capcom's other side-scroller - Bionic Commando: Re-Armed. As such I feel it's easily forgettable and although fitting in some locations, something more upbeat and exciting would have been better suited to really set the mood for combat. Titled “Kazakh City”, Strider consists of one fairly sizable map that’s broken down into ten different segments/levels, each of which are free to climb, fight and explore your way through, keeping the limitation of exploration to a minimum and encouraging you to revisit old areas for any collectibles you may have missed the first time around. Don't expect an easy time here. Although not an easy game by any standard, the challenge and upgrade placement has been carefully designed, leaving you in sticky situations, but ones you can overcome with good tactics and lightning fast reflexes. My time spent with Strider has been both enjoyable and engaging. The platforming is solid, combat is fast and as you're kept on your toes from start to finish, the visuals are a real treat to look at too. 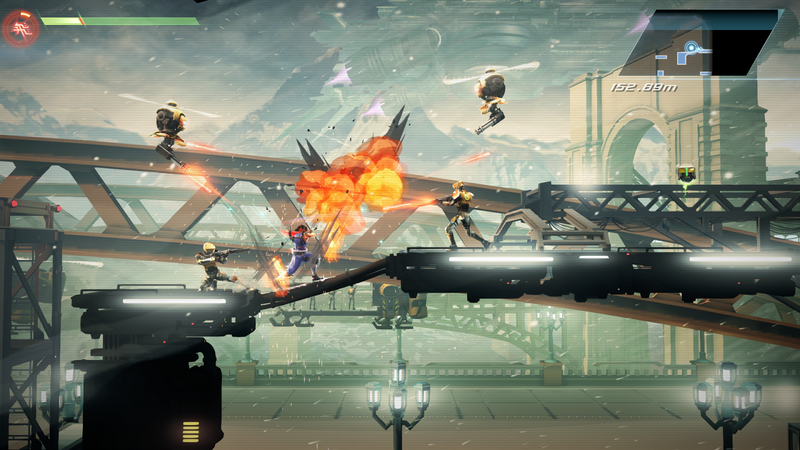 Although a small game, there's a large amount of content featured within and if it's bragging rights you want, Strider also features online leaderboards and a challenge section that includes platforming time trials and a wave based survival mode, guaranteed to test your very worth and efficiency. Overall, if you're a fan of old school side-scrolling games then this should be right up your street. 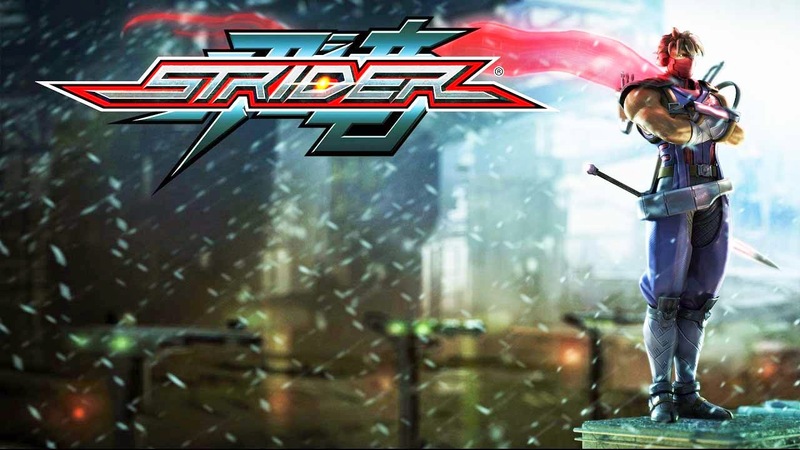 With the tried and tested gameplay from times of old mixed with upgraded visuals and a modern take on the series, Strider should have little to no trouble in appealing to the masses and may even offer a little nostalgia along the way. Alternatively, give us a shout over on the social networks!